Thank You ! Single Cup club for my sample of your coffee . 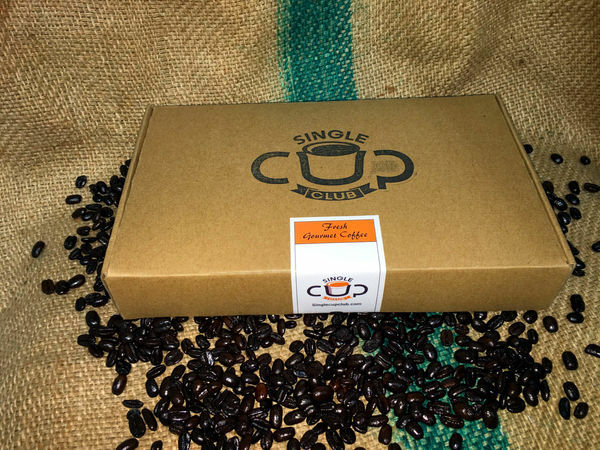 It comes in a nice box with 15 delicious single serve coffee cups . Each one has a unique taste of its own. Twisted Pine is a medium roast from Central & South America and And is very smooth tasting . 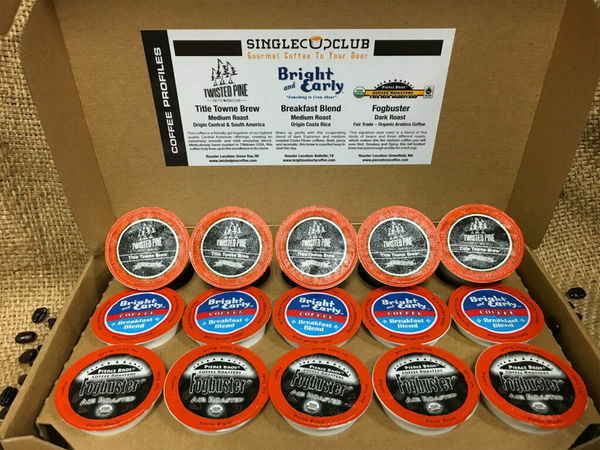 Bright and Early Is a medium roast coffee from Costa Rica and with a bold taste. And Lastly , Fogbuster is a Organic Arabica coffee that is smoky and spicy . I love all of them and can't pick just one ! So i really enjoy the variety I get from Single Cup Club ! You will TOO !